Long, fun day ... and good news! Over the years, I've done a few VO gigs that appeared within the framework of television shows. But, those gigs were always prerecorded or done in post production. 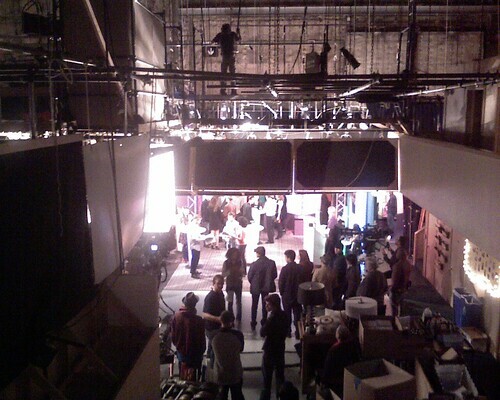 Today, however, my role necessitated me actually being on the set of the sitcom Rules Of Engagement, performing live. 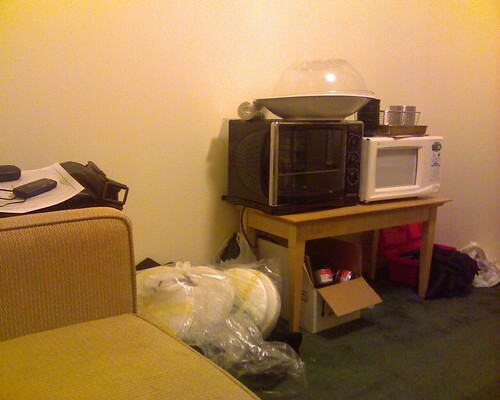 Plus, there is a LOT of sitting around and waiting. I've gotten used to the usual VO agenda - get in, get it done, and get out. But today, as is often the case with on-camera gigs, I sat around for six hours before I got to do my thing. Then, there was about 40 minutes of rehearsal and blocking of shots (with about 15 read throughs) before the actual recording (2 takes and and 3 minutes) took place - on the set and with about 50 extras and the cast surrounding me. The upside, besides the booking itself, was reading my lines with David Spade and working with a great group of professionals - both in cast and crew. Plus, the next time a "normal" VO job takes a little longer than usual, I will definitely look back upon this one for some perspective. As for the good news, I came home to find out that I now have agent representation in Portland, Oregon with Ryan Artists. They will join my stable of agents in LA (TGMD), NY (Access Talent), and Chicago (DeSanti Talent). Today was definitely a good day! Long ... but, very good!! Oh, that sounds great. I did some commercial work a long while back (it was mostly singing and a one line thing), and that was an all day process for a 30 second commercial. It was fun, but I totally know what you are saying about the long waiting process. The live acting process is indeed so much different from the -go into the studio, record, and get out- process of the normal voice over process. Both are good and its always good to be working no matter what the project setup, but it does put things into perspective when you get to experience different types. You truly learn to appreciate what others do and what you do as well. Congrats on all your success! I like 'Rules of Engagement', too. Patrick Warburton is a favorite of my wife and I. Thanks! Not sure yet when it will air, but I will post it up when I find out. Super! 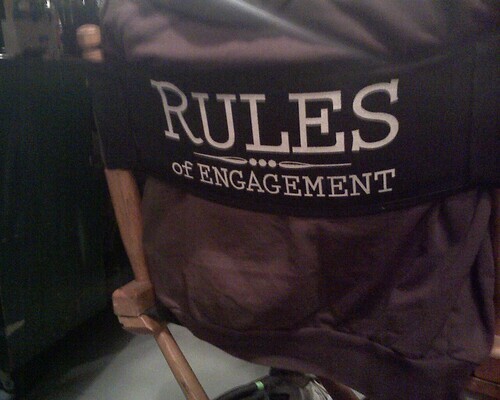 I Love Rules of Engagement! Truly glad to see CBS brought it back. Any idea when you will be on?